Please check out all of my older graphic novel reviews here. You might have read that I was at the American Library Association Conference this past June. Pop Culture Classroom/The Comics Education Outreach not only had a booth on the show floor, but we helped develop some educational programming. One of the coolest things about the show was the number of publishers handing out samples of books for librarians and educators. But it hasn’t just been ALA where publishers have been kind to PCC and CEO; when publishers find out about the plans and goals of the non-profits, they usually want to help us out in some way and become a part of what we do. With that said, I would like to dedicate some weeks of this 365 day trek to certain publishers for donating time and books to us in our quest to help educators in the classroom. This week I will focus on Oni Press. 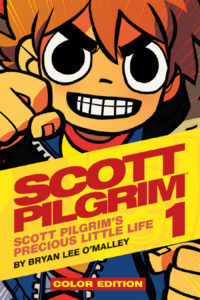 Oni Press publishes what could be my favorite graphic novel series of all time: Scott Pilgrim, created by Bryan Lee O’Malley. Scott Pilgrim is about a young guy (early 20’s), Scott Pilgrim that lives in Toronto and likes a girl: Ramona Flowers. But he has to fight/defeat her evil exes in order to be with her. There’s a lot more going on in the book than that, but that’s the basic story. Boy meets girl, boy has to destroy all of girl’s exes. 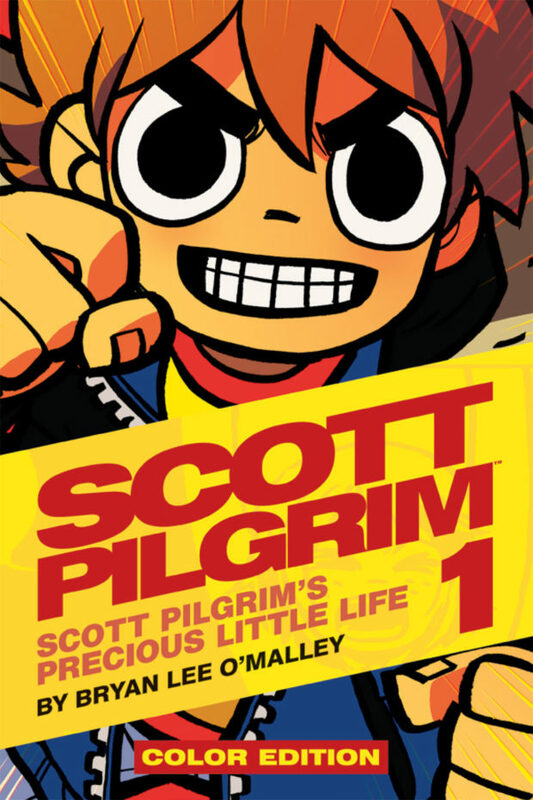 In 2004, Oni Press released the first Scott Pilgrim book of a six book series. These books were Manga-esque: smaller, soft cover trades in black and white, but they read like American comics from front to back, left to right. If you don’t know what I’m talking about, it’s OK. Wait until I review a traditional Manga title and I’ll fill you in. 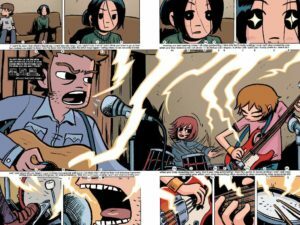 If you are interested in the specific content that I teach and discuss when using Scott Pilgrim in my classroom, I have study guide questions for book one under the Resources tab above. Feel free to check them out and use them! I have had kids not dig the book. I’m sure you can sense my excitement over this franchise, and most of my kids love it, but there are a few that won’t connect to it, and for them, I weep. I do geek out. And as a teacher, you should be geeking out about what you teach as well. 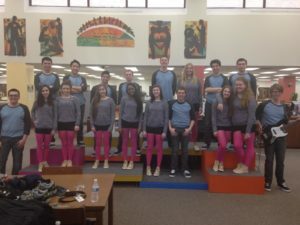 I know my excitement for what I teach rubs off on these kids. Teach books that you love, and most of your kids will love them too. There may be some of you out there that have never heard of the Scott Pilgrim series, and I am jealous! You get to experience all of this with fresh eyes for the first time. Go get the color version of book one and get back to me; I want to know what you think!